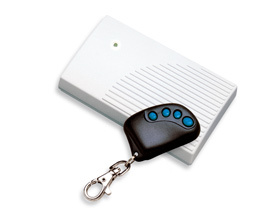 Radio control keyfobs provide a convenient method of controlling various devices. This control method may be used in alarm systems, e.g. to activate or deactivate the standby mode or call for help in an emergency. 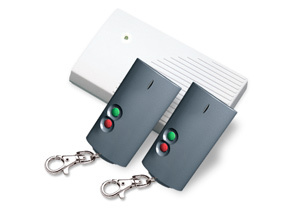 Users can also utilise keyfobs to remotely raise/lower shutters or open a garage door or entry gate to the premises. 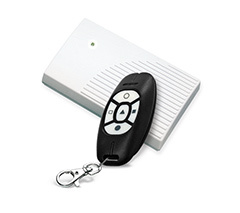 The SATEL product range includes a number of universal radio remote controllers ensuring control over almost any device. Apart from keyfobs, a controller set includes a correct receiver powered by a 12V power supply. of independent channels, keyfob types and receiver types. 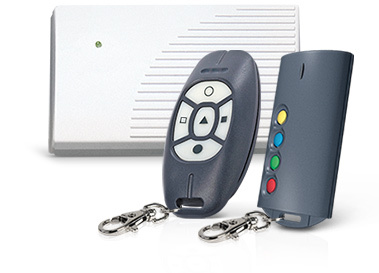 RE series controllers are equipped with keyfobs in state-of-the-art enclosures with conveniently large buttons and a standard receiver (range up to 200 m). Controllers belonging to the RX family are accompanied with keyfobs in classic enclosures with two or four channels and a receiver (range up to 200 m). The most advanced RXH series controllers are equipped with ergonomic keyfobs containing buttons minimising the risk of accidental activation and superheterodyne receivers operating within the range even up to 300 m.